Plus taxes and Regional Sports Fee. For 12 months w/ 24-mo. agmt. Autopay & Paperless bill req’d. $135/mo. in months 13-24 (subject to change). Regional Sports Fee up to $8.49/mo. is extra & applies in select markets. * *$19.95 ACTIVATION, EARLY TERMINATION FEE OF $20/MO. FOR EACH MONTH REMAINING ON AGMT., EQUIPMENT NON-RETURN & ADD’L FEES APPLY. Price incl. ULTIMATE All Included Tv Pkg., monthly service and equip. fees for 1 HD DVR & is after $5/mo. autopay & paperless bill discount for 12 mo. Pay $65/mo. + taxes until discount starts w/in 3 bills (No autopay req'd for att.com orders only). New approved residential customers only (equipment lease req'd). Credit card req'd (except MA & PA). Rest's apply. For the family that never misses an episode, goes to every home game, and is always looking for a new series to binge-watch, there's DIRECTV ULTIMATE. Get everything you want from an entertainment package with 14 movie channels and comedy favorites like FXX and Comedy Central. DIRECTV ULTIMATE is the complete entertainment experience you've been looking for. Add the DIRECTV GENIE HD DVR, capable of recording five shows at once and storing 200 hours of HD content*, and you might never leave your house again. *Based on one Genie HD DVR setup (model HR34 or HR44 only). Actual recording capacity varies based on type of programming being recorded. Find the home services you need at a great price with DIRECTV All Included TV + Internet bundle, $100/mo. Plus taxes and Regional Sports Fee. For 12 Mo. w/ 24-mo. TV & 12-mo. Internet agmts & combined bill. Autopay & Paperless bill req’d. $175/mo. in months 13-24 (subject to change). Regional Sports Fee up to $8.49/mo. is extra & applies in select markets. * Incl Unlimited data allowance ($30 value) at no add’l charge.† *$19.95 ACTIVATION, EARLY TERMINATION FEES ($20/MO. FOR TV; $15/MO. FOR INTERNET) FOR EACH MONTH REMAINING ON AGMT., EQUIPMENT NON-RETURN & ADD’L FEES APPLY. Price incl. UTLIMATE TV Pkg., monthly service & equip. fees for 1 HD DVR and Wi-Fi Gateway & is after $5/mo. autopay & paperless bill discount for 12 mo. Pay$110/mo. + taxes until discount starts w/in 3 bills. New approved residential customers only (equipment lease req'd). Credit card req'd. Restr’s apply. DIRECTV ULTIMATE delivers a robust lineup of channels to keep you both informed and entertained. Stay up to date on what's happening in the world with news channels like CNN, BBC America, and MSNBC, and enjoy local channels included at no extra charge in 99% of the U.S. Catch regional and national sporting events on channels like FOX Sports 1, TBS, TNT, and SEC Network. 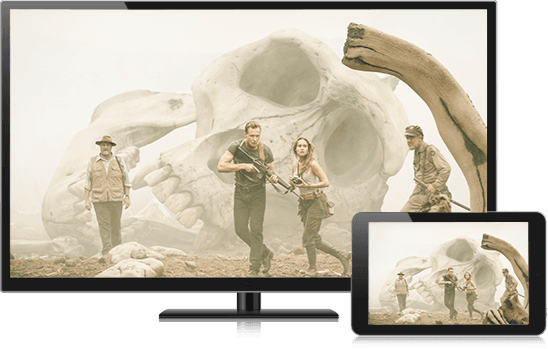 With 14 movie channels and instant access to over 20,000 On Demand titles, you'll never struggle to find something to watch ever again. When you can take DIRECTV anywhere, anytime can become entertainment time. Available on your tablet, smartphone, and e-reader, the DIRECTV app turns any device into a personal TV screen1. Transform a mundane trip to the auto body shop into a chance to catch up on the latest episode of your favorite show. 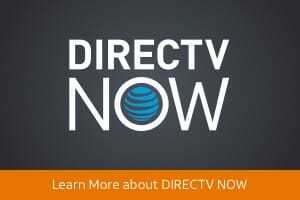 Only the DIRECTV app gives you access to the same DIRECTV you enjoy at home. Stream live and recorded shows and even download your home DVR directly to your preferred device. Plus, for those times you forget to set your DVR you can use your mobile device to schedule a recording. Imagine being able to solve any and all recording conflicts with the click of a button. Order a DIRECTV entertainment package and get the Genie HD DVR, capable of recording five shows at once and up to 200 hours of HD content2 from a single box. Outfit your home with the power of full DVR functionality by connecting as many as seven Genie minis3 and never miss a moment of the action. Start watching the big game in the living room, pause for a quick snack break, and finish watching from the comfort of your bedroom. Make all your TV dreams come true with DIRECTV's most advanced HD DVR ever. Your family will thank you. Thanks to DIRECTV CINEMA®, you don't have to leave home to experience all the excitement of the theater. Only DIRECTV CINEMA gives you access to hundreds of movies, with new titles being added every month. You can even enjoy some new releases before they're in theaters. Browse by genre, actor, or director, and create a queue of movies to enjoy later. You only pay for the movies that you actually watch. Plus, select titles and Pay Per View events are available for pre-order via your remote, so you'll never miss a moment. Why go out when entertainment is available directly to you! 2 Based on one Genie HD DVR setup (model HR34 or HR44 only). Actual recording capacity varies based on type of programming being recorded. Want to stand out from the pack? Customize your DIRECTV entertainment by adding premium networks to any package. Go all out and snag DIRECTV HD EXTRA PACK for just $4.99 and enjoy nine premium networks in full-time HD. That's nine channels packed with music, movies, events, and more, with the ability to stream to any tablet, smartphone, or laptop. Add your choice of premium networks to your plan and get the most out of your DIRECTV entertainment subscription. Your DIRECTV Ultimate entertainment subscription gives you access to premium channels like HBO, STARZ, CINEMAX, and SHOWTIME for the first three months at no extra charge. Your favorite sports games, events, and rivalries are waiting for you on DIRECTV. Add DIRECTV SPORTS PACK to any subscription for only $13.99 a month and get exclusive coverage of your favorite college and professional teams. Enjoy games, analysis, and the excitement of all your favorite sports 24/7 from around the country with more than 30 regional sports networks. DIRECTV is rated #1 in customer satisfaction compared to other major cable and satellite providers.1 The ultimate in programming, DIRECTV delivers top sports, cutting-edge technology, and all-in-one pricing. Choose DIRECTV for your family and take entertainment with you wherever life takes you. 1-YR BUNDLE PRICE: Ends 6/30/19. 1st & 2nd year Pricing: $100/mo for first 12 mos. only. After 12 mos. or loss of eligibility, then prevailing rate applies (currently $175/mo. ), unless cancelled or changed prior to end of the promo period. Must maintain all qualifying services and service addresses must match to receive advertised pricing. Pricing subject to change. $5/mo. discount: Must enroll in autopay & paperless bill within 30 days of TV activation to receive bill credit starting in 1-3 bill cycles. First time credit will include all credits earned since meeting offer requirements. Must maintain autopay/paperless bill and valid email address to continue credits. No credits in 2nd year for autopay. Includes: ULTIMATE All-Included TV Pkg., Internet speed tiers (10M to 100M), monthly service and equipment fees for one Genie HD DVR, monthly fees for a Wi-Fi Gateway, and standard pro installation. Exclusions: Price excludes Regional Sports Fee of up to $8.49/mo. (which is extra & applies in select markets to CHOICE and/or MÁS ULTRA and higher Pkgs. ), applicable use tax expense surcharge on retail value of installation, custom installation, equipment upgrades/add-ons (min. $99 one-time & $7/mo. monthly fees for each extra receiver/DIRECTV Ready TV/Device), and certain other add'l fees & charges. 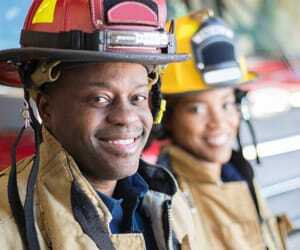 Different offers may apply for eligible multi-dwelling unit customers.